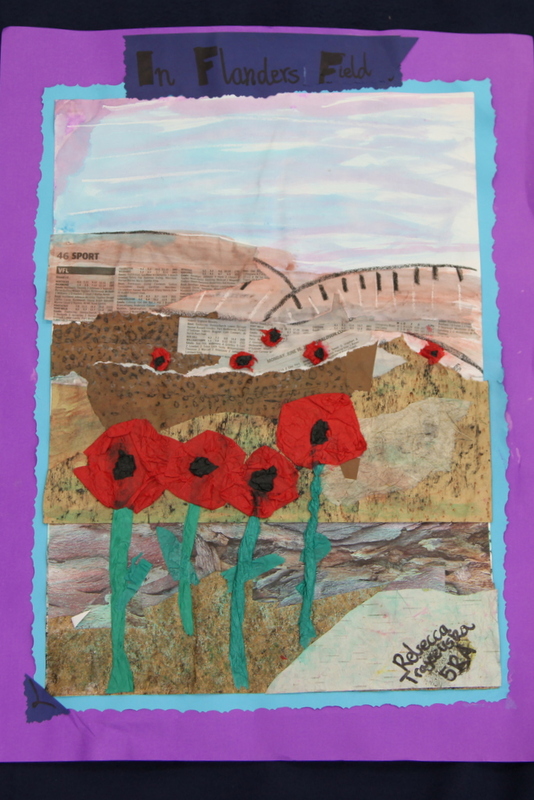 This year it was 100 years since the ANZAC soldiers landed at Gallipoli, Turkey, during World War 1. 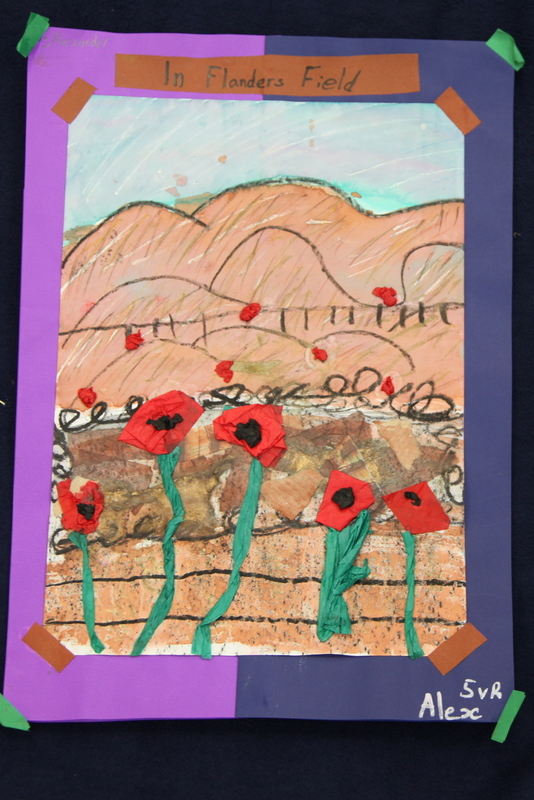 Our thoughts were with soldiers and their families from all the countries involved in the conflict. 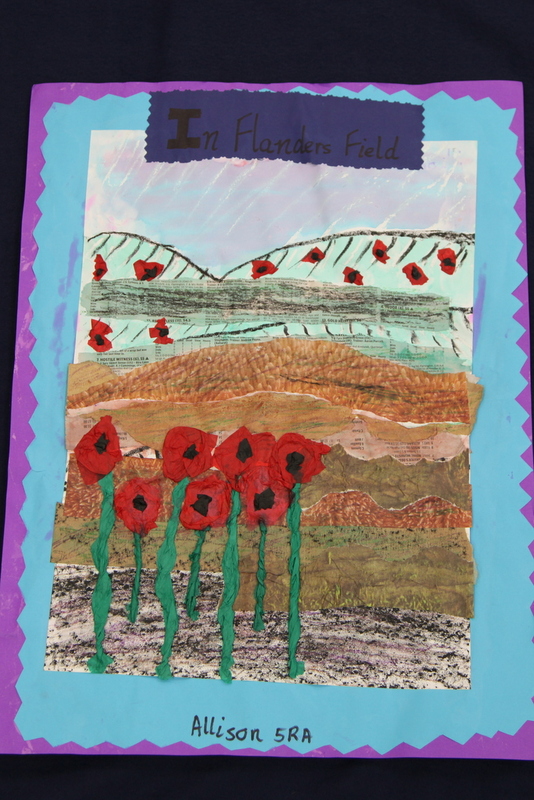 Our students used mixed media to create a picture of the battle fields at Flanders (France) at the end of the war. 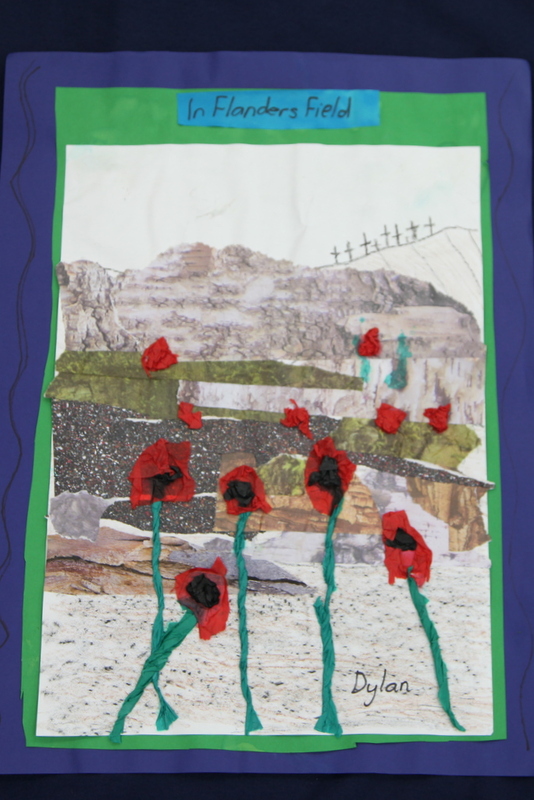 They were particularly keen to add the brilliant red poppies which grow in the fields there and which are mentioned in the famous poem.